How to Remove Mold From Your Shower in Seattle? Posted on October 18, 2012 at 2:15 pm. Is Mold in the Shower Dangerous? We’ve all seen and shuddered at the development of mold on shower tiles, around shower doors and in the caulking round the base of the shower. In a place designated for our cleanliness, it just seems wrong that mold would be growing there. But of all the places in your house, the bathroom, and more specifically the shower, provides some of the best conditions for the growth of mold. Mold needs a moist, warm place to grow and thrive…what better place than in your shower, it’s the perfect breeding ground. But is this type of mold dangerous to your health? The type of mold typically found in your shower or bath is Cladosporium, which feeds on soap scum, and as a rule is not considered toxic. This doesn’t mean that you shouldn’t address the problem and get rid of the mold, because some people who are extremely sensitive and who may already have pre-existing respiratory problems may experience intensified symptoms. 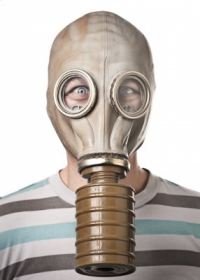 It’s unhealthy to live around and breath in the spores of any type of mold. All mold is a fungus, why would you want any of it growing in your home? It’s much easier to remove the mold from a solid piece of tile or shower surround by using a nice stiff brush and a good disinfectant, than it is to remove it from grout or the caulking around the doors and the floor. When you do clean the mold from the walls, always protect yourself by using gloves, having good ventilation and never combining chemicals. To clean the mold from the caulking, you will probably need to remove all caulking, clean the area well, and then let it totally dry before applying a new bead of silicone. If you have mold growing on other porous, organic surfaces in your home, such as walls, ceilings, carpets or wood, you will not be able to “clean” it up safely, thoroughly and permanently yourself. How to Prevent Mold Growth in Seattle? Posted on October 11, 2012 at 12:57 pm. How Can You Prevent the Growth of Mold? You don’t have to be someone who suffers from asthma or other respiratory problems, you don’t have to be a certain age or a certain gender…you just have to be someone who breathes to be affected by the growth of mold in your home, business, school or any other place where you spend a lot of time. The fact is, just about anyone could be at risk. We all know that mold requires organic material for food and growth, but even more necessary to its survival is moisture. In many people’s homes, due to types of heating or other circumstances, the air is too dry, which for some causes dry, itchy skin and even bloody noses. So, in order to avoid this, they run humidifiers or keep tea kettles simmering on the stove to put moisture into the air. This type of activity can put too much moisture into the air and can be just what mold spores want and need for growth and reproduction. 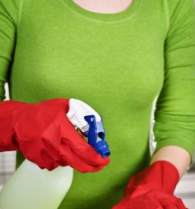 How can you reduce moisture in your home to prevent mold growth? The humidity in your home should be below 60%. There are inexpensive instruments available in hardware stores, called hygrometers, that can do the measuring for you. Along with keeping your moisture levels within healthy guidelines…repairing leaks and other water damage immediately will help prevent the growth of mold. Don’t let mold compromise yours or your family’s health, give us a call for a free assessment. Posted on October 4, 2012 at 12:20 pm. 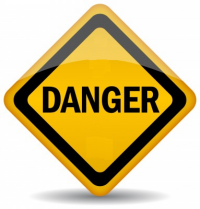 How Severe are the Dangers of Toxic Mold? According to Dr. Mercola, the dangers of toxic mold can be far more damaging than even pesticides. He also sites statics that suggest that up to 40% of our schools and 25% of our homes have levels of mold that are harmful to people. In the Seattle, WA area, it’s not surprising that, considering the heavy moisture content in the air, there would be a heavy concentration of homes reporting mold growth. But what is surprising is that even in drier areas of the country, mold is still a problem. We have all heard that mold causes such symptoms as sneezing, coughing and increased respiratory issues, but there are more serious possibilities that aren’t talked about as much. Please watch this brief video of a family that had extreme health problems. Problems you can avoid if you will be on the lookout for signs of mold in your homes, schools or businesses, and when you find it, have it remediated immediately! Can Mold in Seattle Affect Your Pregnancy to Cause Birth Defects or Miscarriage? Posted on September 28, 2012 at 9:20 am. How Does Mold Affect Pregnancy? More and more people are coming to the understanding that exposure to mold can cause many health issues, especially for young children, the elderly and those who already have respiratory problems. With that in mind, the question now is will mold negatively affect your pregnancy and your unborn child? Unfortunately, there has not been a great deal of research done on this topic. There has been animal research that has shown there are risks of birth defects if the animals have eaten moldy food, but nothing has been determined about airborne mold exposure. There have been many women who, during the time of their pregnancies were exposed to mold for extended periods of time, either experienced miscarriage or had a child born with a birth defect. But science has not validated the idea that these situations were caused by or linked to mold exposure. 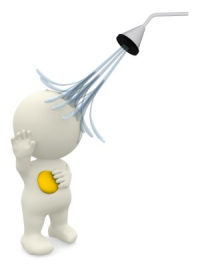 We do know how mold can affect those of us who have already been born. We know that mold is a fungus and is around us all the time. We know that it’s good for the outside environment, but not for us. We know that it grows by sending out tiny spores into the air we breathe. It may be a coincidence, but we really don’t know. Even though there is no research that proves mold exposure is harmful to your unborn child, why take chances? Can Asthma be Linked to Mold? Posted on September 20, 2012 at 3:10 pm. What should you know about Asthma and Mold? 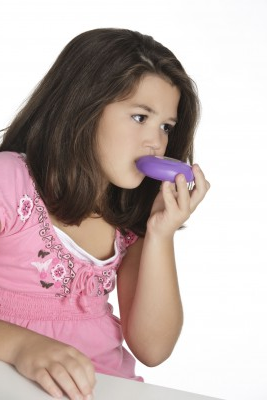 Asthma is a disease that has no boundaries. It can affect the old as well as the young; affecting the lungs, it makes it difficult to breathe for millions of Americans. It is incurable, chronic and can be life threatening. Inside our lungs we have small tubes through which air passes called airways. 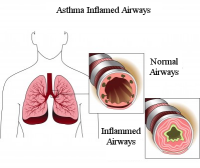 The airways of an asthma sufferers are typically inflamed and swollen, which makes them sensitive to things and situations such as illness, weather, smoke, dust, and many other pollutants. These “triggers” cause the airways to create extra mucus and become even more swollen making breathing extremely difficult and the person then has what is called an asthma attack. This is where mold enters into the picture. As we know, mold is a fungus that is always present indoors and out. As it grows, it reproduces by growing tiny spores that are expelled and travel through the air until they find a damp, warm place to take root and begin growing and producing even more spores. These mold spores contribute to poor air quality in our homes, businesses and other buildings. As people who suffer from asthma breathe in spore infested air, their airways become irritated and breathing becomes difficult, sometimes almost impossible. Everyone, but especially people who have asthma, should avoid prolonged and constant contact with mold. If you have recently developed asthma, or your symptoms seem to be increasing, you should consider the idea that you are being exposed to mold, and it’s making you sick. Make sure your environment is healthy and safe for breathing…Call us right away for a Free Assessment.